Belgium is an EU Member State and has thus implemented the EU medicines and medical devices regimes. This chapter will not repeat the substantive content of the EU chapter but instead will focus on unique features of the Belgian regime. It should be read in conjunction with the EU chapter. Medicines for human use are regulated primarily by the Medicines Act of 25 March 1964 (the Medicines Act) and the Royal Decree on Medicines for Human and Veterinary Use of 14 December 2006 (the 2006 Decree), but several other legislative documents regulate more specific aspects, such as advertising or clinical trials.2 Together, these rules implement Directive 2001/83/EC3 and most other EU medicines laws into Belgian law. They also supplement the EU Regulations, such as Regulation (EC) No. 726/2004 on the centralised procedure and Regulation (EC) No. 141/2000 on orphan medicinal products. Medical devices are regulated by three Royal Decrees4 that implement the three EU Medical Devices Directives5 into Belgian law. The Federal Agency for Medicines and Health Products (FAMHP), a public institution under the control of the Minister of Social Affairs and Public Health, is the Belgian national competent and control authority for the regulation of medicinal products and medical devices. The Agency supervises the quality, safety and efficacy of medicines for human or animal use and also has responsibilities for medical devices and blood, tissues and cells. It is also responsible for the EU procedures under the decentralised procedure, the mutual recognition procedure and referrals, and for participation in the centralised procedure. The FAMHP plays an important role with regard to borderline decisions. It provides advice on product classification and assesses the correct regulatory classification of products when taking regulatory decisions, such as the granting or refusal of a marketing authorisation. In addition, the FAMHP operates a 'mixed commission' responsible for borderline reviews.6 The commission consists of representatives of the Federal Public Service of Public Health, the Federal Public Service for Economic Affairs, the Belgian food agency and the FAMHP itself. The commission reviews specific borderline aspects and provides an opinion to the Minister of Public Health, who takes a formal decision. The FAMHP has issued a list of claims that are not considered medicinal, which helps in making borderline determinations based on the presentation of products. The claims are mainly relevant for determining the borderline between medicines and foods, and between medicines and cosmetics. Examples of non-medicinal product claims are statements suggesting that the products provide a soothing effect on the airways in the event of a sore throat, that they ensure regular bowel movements or that they prevent caries. Some of these claims are, however, subject to EU approval under the Nutrition and Health Claims Regulation for Foods.7 The Regulation takes precedence over the list. The mixed commission also issued guidance on the borderline between biocidal products, cosmetics and medicines, and on the classification of products containing Bach flowers. The Act on the Protection of Animal Welfare of 14 August 19869 implements Directive 2010/63/EU10 into Belgian law from early 2013. The Act, combined with an implementing Royal Decree,11 permits research involving animals only in premises licensed by the Federal Public Service of Health, by appropriately qualified staff and in accordance with procedures designed to minimise animal pain and suffering. The facilities must also have an ethics committee and there is a federal ethics committee that can provide recommendations to the Federal Public Service. The Royal Decree on Good Laboratory Practices12 (GLP) lays down the main GLP requirements. It applies to non-clinical testing of ingredients used in medicines, cosmetics, pesticides, veterinary medicines, food and feed additives, and industrial chemicals. The Decree requires that all animal studies be conducted in accordance with sound standards of GLP. These standards reflect the Organisation for Economic Co-operation and Development requirements. The Act on Experiments on Humans of 200413 has a broad scope of application. It covers clinical trials with medicines and any other experiment that aims at 'the development of the knowledge that is proper to the exercise of healthcare professions' such as physicians, dentists, pharmacists, physiotherapists and nurses. It does not apply, however, to purely retrospective observational studies based on existing data. All experiments require scientific justification, a properly substantiated purpose, an acceptable level of risk and detriment for the subjects, an expected benefit that outweighs the possible risks, ethics committee approval and informed consent. Specific rules apply to clinical trials with medicines and, under the medical devices rules, to clinical trials with medical devices. The Act on Experiments on Humans of 2004 and the implementing Royal Decree contain specific provisions on clinical trials with medicines, which implement the EU Clinical Trials Directives 2001/20/EC15 and 2005/28/EC.16 Clinical trials of medicinal products in humans are generally only permitted if the FAMHP has granted a clinical trial authorisation and an ethics committee has issued a favourable opinion. Non-interventional trials, where the medicinal product is used within the scope of the marketing authorisation, in line with current medical practice and without additional diagnostic measures or controls, are subject to the general rules on experiments. The new Law on Clinical Trials with Medicines for Human Use of 7 May 2017 was adopted in response to the adoption of the EU Regulation on clinical trials,17 which will repeal the current Directive 2001/20/EC once it becomes applicable (the precise date is yet to be determined and depends on the progress with the EU portal, but the current expectation is that the Regulation will apply as of mid-2019. See the European Union chapter of this publication). The scope of the new law is limited to clinical trials that are covered by the EU Regulation, and will therefore exist in parallel with the law of 7 May 2004, which has a broader scope. The law was implemented by the Royal Decree on Clinical Trials with Medicines for Human Use of 9 October 2017. Some aspects of the new law and of the new Royal Decree became applicable in November 2017. These relate, for instance, to the organisation of the competent authorities for ethics committees. Some of these rules have been updated in October 2018.18 The other provisions will start applying when the Regulation becomes applicable. Approval process under the current rules: applicants for an approval must first have obtained an EudraCT number and must then submit the relevant application form and investigational medicinal product dossier (IMPD) to the FAMHP. The agency must react within 15 days for single-centre Phase I trials and within 28 days for other trials. In the absence of objections, the trial is deemed approved. For trials with gene or cell therapy medicines and with medicines that contain genetically modified organisms, longer periods apply and an express approval is required. All investigational medicinal products must have been manufactured or imported by the holder of a manufacturer's authorisation in the European Economic Area (EEA). The manufacturer or importer must ensure that a qualified person has performed batch release of the products for clinical trial use, which is only possible if the product is in accordance with an appropriate standard of good manufacturing practice (GMP) and if the product conforms to the specifications in the IMPD. Sponsors have reporting obligations for suspected unexpected serious adverse reactions, where applicable based on reports received regarding adverse events. Clinical investigations of medical devices are subject to the general rules on experiments and to specific provisions in the medical devices decrees. In addition to obtaining research ethics committee approval, the manufacturer must notify the FAMHP before the conduct of a clinical investigation involving a non-CE-marked medical device or a CE-marked device tested for another indication than covered by the CE-mark. For Class III devices and implantable or long-term invasive devices of Class IIa and IIb, the notification must be made 60 days before commencement of the trial, and the FAMHP can raise objections during that period. There are also obligations to report adverse events and reactions. There is a different process for performance evaluation of a non-CE-marked in vitro diagnostic medical device (IVD). Manufacturers must draw up a declaration and follow the procedure set out in Annex VIII of the Royal Decree on IVDs, and must keep the documents available for inspection. The Medicines Act and the 2006 Decree allow for different ways to make a medicine available outside the marketing authorisation system. Magistral preparation: pharmacists can prepare medicines for an individual patient or a group of patients on the basis of a medical prescription. For certain types of products and under specific conditions, the preparation can be subcontracted to a licensed manufacturer. This allows a higher level of quality and GMP compliance. making a medicinal product belonging to the categories referred to in Article 3(1) and (2) [i.e., products covered by the centralised EU procedure] available for compassionate reasons to a group of patients with a chronically or seriously debilitating disease or whose disease is considered to be life-threatening, and who cannot be treated satisfactorily by an authorised medicinal product. The product concerned must either be the subject of an application for a centralised marketing authorisation or must be undergoing clinical trials. The specific procedure to be followed in Belgium is set out in Article 106 of the 2006 Decree and was amended in 2014. The applicant must submit an application for a compassionate use programme to the FAMHP, which includes a review by an ethics committee. The Decree sets out what information is required in the application, including a standardised informed-consent form for the patient. The applicant must specify whether it requests the intervention of the compulsory health insurance for reimbursement purposes. The FAMHP forwards the application to the European Medicines Agency (EMA) and may request, in consultation with the EMA and the applicant, an opinion from the Committee for Medicinal Products for Human Use. The Minister of Health must adopt a decision on the compassionate use programme within 55 business days from the decision on the admissibility of the request, failing which, the decision is deemed positive. Decisions are published on the website of the FAMHP and are regularly reassessed. Under certain conditions and for certain diseases, products available under a compassionate use programme may benefit from (limited) reimbursement under the so-called 'early temporary reimbursement' regime (see Section III below). it is impossible to submit a request for a compassionate use programme. While it is recommended to notify the FAMHP and the ethics committee of the site concerned, this is not a legal requirement to start the treatment. Treatment is provided under the responsibility of the healthcare professional and the entity arranging the supply. Medical need: a medical need programme can be put in place by the marketing authorisation holder for an approved medicine but in an indication that is still under clinical development or regulatory review, or that is approved but for which the product is not yet marketed. The specific procedure is set out in Article 108 of the 2006 Decree and was amended in 2014. The procedure is somewhat similar to this for compassionate use programmes. The applicant must submit a request to the FAMHP, including the specified information. An opinion from an ethics committee is also required. The decision on the medical need programme is published on the FAMHP website.19 Under certain conditions and for certain diseases, products available under a medical need programme may benefit from (limited) reimbursement under the so-called 'early temporary reimbursement' regime (see Section III, below). Imports: named-patient imports of medicines that have a marketing authorisation in the country of origin are allowed for patients who cannot be adequately treated with authorised and available medicines. This option is available for specific patients and for groups of patients, and the imports are made by a pharmacist. In addition, the Medicines Act excludes specific products from the marketing authorisation requirement, including certain blood products, certain radiopharmaceuticals, and certain advanced therapies that are prepared in accordance with an individual prescription. The Belgian rules on marketing authorisations for medicinal products and on CE-marking for medical devices closely follow the EU rules. The procedures are administered by the FAMHP. The Medicines Act and the 2006 Decree implement periods of eight years of regulatory data exclusivity (during which generic and biosimilar applicants cannot file) followed by two years of market protection (during which regulators may review generic or biosimilar applications, but generic or biosimilar manufacturers cannot launch) under Directive 2001/83/EC for products for which qualifying national applications were submitted after 30 October 2005. For complete free-standing applications submitted on or before that date, holders of Belgian marketing authorisations would benefit from 10 years of data exclusivity protection, during which generic applicants cannot file. These regulatory exclusivity periods begin when the product is first approved anywhere in the EEA, not necessarily in Belgium. The additional data exclusivity provisions for 'orphan medicinal products' and for products with paediatric indications developed in accordance with an approved paediatric investigation plan under Regulation (EC) No. 141/200020 and Regulation (EC) No. 1901/200621 apply directly. The Belgian Office for Intellectual Property is responsible for granting supplementary patent certificates for medicinal products that meet the criteria under Regulation (EC) No. 469/200922 and for the paediatric extensions. There is no patent linkage under Belgian law (i.e., no linkage between the regulatory approval process and patent expiry). The Medicines Act contains a Bolar provision, making it possible to perform any necessary trials for approval during the patent protection period. Belgian legislation does not provide specific regulatory exclusivity periods for medical devices. A device may be protected by a patent if it satisfies the requirements for patentability under the relevant rules. Post-approval controls over marketing authorisation holders for medicines and manufacturers of medical devices in Belgium closely mirror the EU requirements subject to the following of local requirements and procedures. The substantive requirements governing the manufacture of medicinal products, including the need for a manufacturing or import authorisation, a qualified person and compliance with GMP, are discussed in the EU chapter. The FAMHP regulates pharmaceutical manufacturing operations within Belgium and conducts inspections of manufacturing facilities pre-authorisation and periodically thereafter. Changes to the manufacturing authorisation require variations to be submitted to the FAMHP. Key principles on advertising are set out in the Medicines Act. They are supplemented by the 1995 Royal Decree on Information and Advertising for Medicines for Human Use23 and a 1993 Royal Decree on samples,24 which implement the EU advertising rules into Belgian law. These include the general requirements that advertising must not be misleading, and that it must be substantiated and accompanied by appropriate prescribing information. There is also a prohibition on pre-approval or off-label promotion of medicines, advertising of prescription-only medicines to the general public, and illegal inducements to prescribe (for further details on the latter, see Section V below). Some provisions go beyond what is required under EU law. Some forms of advertising media are prohibited (such as billboards or via telephone or SMS). Advertising to the public (of non-prescription drugs; advertising to the public is not allowed for prescription drugs) must be notified in advance to the FAMHP and, for radio and television advertising, prior approval must be obtained. This takes the form of a visa, granted by the Minister of Health, upon advice of the Control Commission of Medical Advertising. The statutory scheme is supported by a self-regulatory system based on the pharma.be practice code. The code is enforced through an ethics commission within pharma.be. For non-interventional studies, the code also requires prior approval from the Visa Bureau of pharma.be. The visa procedure is intended to check compliance of the study with the legal and ethical requirements. The rules restricting benefits to healthcare professionals, including a review of scientific meetings and hospitality, are discussed in Section V below. The rules on advertising for medical devices are much less elaborate. The key provision is that non-CE-marked medical devices cannot be promoted (subject to an exception for showing the devices at fairs with an indication that they are not yet in compliance with the rules). Advertising of implantable medical devices to the public is prohibited. Advertising of medical devices is also subject to general advertising rules, requiring that advertisements be substantiated, factual, balanced and not misleading. The Belgian medical devices industry association beMedTech (formerly known as UNAMEC) operates a code of conduct that is enforced through an ethics commission. The rules restricting benefits to healthcare professionals, including a review of scientific meetings, and hospitality and disclosure requirements ('sunshine' rules), are discussed in Section V below. As under EU law, Article 12 ter of the Medicines Act provides that distributors of medicinal products must hold a wholesale distributor's authorisation and specific obligations are laid down in the 2006 Decree. In particular, wholesale distributors must operate appropriate facilities and staff under the supervision of an appropriately qualified responsible person. They must comply with good distribution practices and maintain appropriate batch records. Wholesale distributors are also subject to supply obligations that are aimed at ensuring adequate availability of medicines throughout Belgium. These obligations have also been invoked by parallel exporters. The FAMHP is responsible for issuing, suspending and revoking wholesale distributors' licences in Belgium. It conducts inspections before the grant of such a licence and periodically thereafter. Belgium operates a fairly closed distribution system of medical devices in that certain medical devices may only be sold to final users via public pharmacies, hospital pharmacies or dental clinics (the list is set out in Annex XIII.1 to the Royal Decree on Medical Devices).25 This may change in the near future (as we explain in Section VIII below). In addition, distributors (and exporters) of certain medical devices need to notify their activities to the authorities. Some aspects of the notification system were changed recently, in an effort to simplify the procedure.26 The FAMHP and beMedTech also issued guidance on good distribution practices.27 Brokers must also register with the FAMHP. Since February 2015, distributors of certain medical devices (and hospitals) must put in place a 'contact point for materiovigilance', responsible for reporting incidents to the FAMHP. The requirements were updated in December 2017. The Belgian rules on prescription status for medicines are based on the EU provisions. Some medical devices are subject to restrictions in the distribution chain (e.g., via pharmacists or dentists). The Belgian regulations governing the import and export of medicinal products reflect those at the EU level. Belgium implemented the UN Single Convention on Narcotic Drugs 1961 and the UN Convention on Psychotropic Substances 1971, and has recently consolidated and updated its legislation.28 The licences for manufacturing, distributing, importing or exporting such substances are issued on a national basis by the FAMHP and are subject to renewal. As a rule, specific authorisations must be obtained for the import or export of narcotic or psychotropic substances. Close collaboration also exists with Luxembourg. Breaches of the medicines rules are often investigated by inspectors of the FAMHP. They can result in administrative fines or a referral to the public prosecutor. The latter can propose a settlement or bring the case before the criminal courts. There are not many criminal court cases for infringement of the medicines rules. Competitors or non-profit organisations can also bring cases before the commercial courts, typically with a request for an injunction. Finally, enforcement through the self-regulatory system operated by pharma.be is possible. The enforcement mechanisms for medical devices are very similar to those for medicines. Belgium operates strict controls on the prices of certain classes of medicines and medical devices and on their reimbursement status. The controls have a cumulative effect as, for many products, marketing is only viable when they are at least partially reimbursed. Pricing29 and reimbursement30 rules are very complex in Belgium. The competent authority for price determination is the Federal Public Service for Economic Affairs, encompassing two specialised commissions: the Commission for Price Regulation and the Commission for Pricing of Medicinal Products. The applicable procedure for price determination depends on the type of medicine31 and whether it is considered new. Price determination will either require notification to the Federal Public Service for Economic Affairs (e.g., for generics) or prior approval from the Minister for Economic Affairs (e.g., for innovative medicines). Price increases are also subject to either authorisation or notification requirements, and price decreases must be communicated. Decisions by the Minister for Economic Affairs can be challenged before the Council of State (see Section IV). The price approval process is based on an application dossier that comprises a justification for the requested price (including production cost, a copy of the company's annual accounts for the past three years and a description of the market). A simplified pricing procedure applies for medicines approved on the basis of an abridged, bibliographical or hybrid application. In addition, margins applied throughout the distribution chain are subject to control and limitations. Reimbursement is decided upon by the Minister of Social Affairs, following a recommendation by the Medicines Reimbursement Committee, which forms part of the National Institute for Health and Disability Insurance (NIHDI). The decision process and the dossier to be submitted depend on the category of medicine. There are three main categories, depending on whether the medicine represents added therapeutic value over existing products and whether it is innovative or generic. As a rule, the Medicines Reimbursement Committee adopts a proposal based on the elements submitted by the company and the medical and therapeutic value of the product. The proposal is then presented to the Minister of Social Affairs, who takes the final decision. The reimbursement decision fixes the reimbursement price (which may be lower than the price initially approved by the Minister for Economic Affairs) and the category of reimbursement (which determines the level of co-payment required from the patient). Decisions by the Minister of Health can be challenged before the Council of State (see Section IV below). In addition, specific procedures apply for amending the reimbursement modalities of a medicine (or group of medicines), which can be initiated by the marketing authorisation holder, the Medicines Reimbursement Committee or the Minister of Social Affairs. Since 2010, the rules also allow for managed entry agreements to be concluded between the company and the Federal Health Insurance Service. These are commonly known as Article 81 agreements, although that term is no longer accurate in light of a recent overhaul of the Royal Decree on Reimbursement.32 The agreements allow for risk-sharing mechanisms between the company and the government. They are used primarily when there are uncertainties (e.g., as to the budgetary impact, the therapeutic value or administration specifics) and typically contain a financial mechanism to address these uncertainties, such as rebate schemes. An Article 81 agreement leads to a temporary reimbursement for three years, possibly renewable. That period of time is typically used to gather further information on the product. An Article 81 agreement must contain a number of elements, including details on the price and reimbursement basis of the product, tools to control the budgetary risks (for instance, by controlling the volume of products prescribed), follow-up measures and details on the financial risk-sharing mechanism. In addition, since 2014, a system of early temporary reimbursement is in place for products that have not yet obtained a marketing authorisation but that are made available via an early access programme (namely a compassionate use or a medical need programme; see Section II.iv above). This system only applies for products that are used to treat certain diseases that reflect an unmet medical need. The diseases are identified in a list that is regularly updated and published on the website of the NIHDI. We understand that, in practice, the system has not been widely used so far. In Belgium, the decisions of authorities, including the FAMHP, the Minister of Health and the Minister of Social Affairs, can be challenged before the highest administrative court, the Council of State. The procedure allows for interim relief but the standards are very high. When the administrative decision also infringes civil rights, an action before the civil courts may be possible. Each court may refer a question under EU pharmaceutical or medical devices law to the Court of Justice for a preliminary ruling. Such referrals are not infrequent. reasonable compensation for scientific services, in particular for clinical trials. These rules, including the Mdeon review, also apply to medical devices. Article 10 of the Medicines Act has been further implemented by the Belgian pharmaceutical industry association, pharma.be, in its code of conduct. The rules are fairly restrictive, more so than the EU-wide European Federation of Pharmaceutical Industries and Associations Code: maximum expenditure limits for meals and drinks offered to healthcare professionals during scientific events apply, and gifts to healthcare professionals in relation to prescription-only medicines are prohibited (even if of negligible value), subject to limited exceptions. The Belgian medical devices association, beMedTech, also further implements the rules on interactions with healthcare professionals and other stakeholders. Belgian legislation also contains a general prohibition on agreements between healthcare professionals and pharmaceutical or certain medical devices companies when the agreements provide benefits to the healthcare professionals.34 The scope of the prohibition is unclear and, in many instances, is superseded by Article 10 of the Medicines Act. Healthcare professionals, hospital staff and payer representatives can be officials, in which case, the official bribery rules may apply. In the private sector, more limited private bribery rules can also be relevant. Belgium recently introduced legal transparency obligations (the Sunshine Act), via the Law of 18 December 2016. The new rules largely repeat the existing voluntary transparency obligations set out in the pharmaceutical and medical device industry codes of conduct published by pharma.be and beMedTech. Pursuant to a Royal Decree of 14 June 2017, the Sunshine Act entered into force on 23 June 2017. The Act obliges pharmaceutical and medical devices companies to disclose details on their financial interactions with various healthcare professionals, healthcare organisations and patient associations. Certain interactions, such as gifts of limited value, are excluded. Companies must submit their information on a yearly basis. The reporting deadline for all transfers done within a given calendar year is 31 May of the following year. In addition to the general product liability principles, based on liability for defective products, Belgium has a special regime for compensation for medical damage, outlined in the Act of 31 March 2010.35 The regime covers compensation for damage caused as a result of healthcare treatment (other than non-reimbursable aesthetic treatment and experiments) where there is no liability of the healthcare provider and the damage is not the result of the condition of the patient. The compensation covers damage that is 'abnormal' (i.e., goes above what could be expected based on scientific knowledge, the status of the patient and the normal evolution) and that is sufficiently serious (at least 25 per cent permanent incapacity; at least six months' temporary incapacity; particularly heavy impact on living conditions, including economic conditions; or death). Compensation is paid by a special fund. In addition, the fund can cover certain cases where the healthcare provider may be liable, but his or her liability is not sufficiently covered by insurance or the liability is disputed. In those cases, the fund is subrogated in the rights against the provider and the insurer. The terms of the Act do not exclude cases where the damage is caused by a defective product, such as a medicine or medical device, but it does not seem to be the legislator's intention to include these cases within the regime. As explained in Section II.iii above, Belgium has a specific no-fault liability system in relation to experiments on human beings, including clinical trials. Belgian competition law is heavily based on EU competition law and in particular the principles laid down in Articles 101 (anticompetitive agreements) and 102 (abuse of dominant market position) of the Treaty on the Functioning of the European Union. It is enforced through by the Belgian Competition Authority, an administrative body composed of the Investigation and Prosecution Service and the Competition College. Occasionally there are complaints concerning practices in the pharmaceutical sector and, much more rarely, in the medical devices sector. The complaints cover similar types of problems that are reviewed at EU level, such as restrictions on supplies to competitors, restrictions on supplies to wholesalers who wish to engage in parallel export activities, and alleged abuse of patent or other exclusivity rights. As Belgium is an EU Member State, many developments in the Belgian regimes governing medicines and medical devices are driven by developments at EU level.36 In particular, Belgium will need to further adapt its clinical trials rules and procedures to the new Regulation (EU) No. 536/2014 on clinical trials (it has started doing so, with the law and Royal Decree discussed in Section II.iii above) and also to the new EU Regulations on medical devices. At the purely national level, several initiatives are ongoing. Some key examples are provided below. However, there are elections in 2019, which could of course have an impact on the prioritisation of certain policy initiatives. Changes are expected with regard to the distribution rules on medical devices (and those changes are, to some degree, related to the developments at EU level). Currently, Belgium operates a fairly closed distribution system of medical devices, in that certain medical devices may only be sold to final users via public pharmacies, hospital pharmacies or dental clinics. New legislation will change this and open up the distribution system. The new rules are expected to be published soon.37 The current notification requirement for distributors will reportedly continue to apply. For several years now, there has been a strong emphasis on limiting the expenditure for healthcare coverage. This is indeed one of the central themes of the 'Pact on the Future', a policy document signed in July 2015 by the Minister of Social Affairs and the national industry associations pharma.be (representing the innovator industry) and Febelgen (representing the generic industry), which still serves as a basis for several policy developments. This document provides a high-level overview of policy priorities in Belgium. It emphasises, for example, the importance of the continued and improved use of the Article 81 contracts between the industry and the government (see Section III above). This is in line with the current trend of an increasingly frequent use of Article 81 agreements, which have become a central tool in the reimbursement policies. The Pact on the Future states that Article 81 agreements must be used more as 'pay-for-performance' tools instead of more traditional rebate mechanisms. In addition, several projects relating to healthcare expenditure are currently ongoing. The Benelux countries and Austria continue to jointly negotiate with the pharmaceutical sector on the reimbursement of medicines, with the overall purpose of alleviating the pressure of the most expensive medicines on public healthcare budgets. While the mechanism has only been used for a handful of products, the Belgian government has expressed its commitment to this initiative. In the summer of 2017, a website was launched that contains some further information on the initiative and its procedures.38 In June 2018, Ireland joined the initiative, and various countries have reportedly expressed interest as well. Also linked to healthcare expenditure, the Minister for Social Affairs continues to adopt measures to incentivise the uptake of biosimilars in Belgium, which continues to be very low compared to many other EU countries. These measures (including circulars), which provide guidance on the application of the public procurement rules to biosimilars, build on the agreement reached between the Minister and the industry in January 2016, which sets targets for the uptake of some of the biosimilars that are currently available for the hospital sector in Belgium. In April 2018, the 'biocliff ' entered into force. This builds on the price decreases that already applied to biologics in case of biosimilar market entry. In addition, there are discussions on launching product-specific projects to financially incentivise physicians to prescribe biosimilars instead of the originator biologics. The regulators are monitoring the uptake of biosimilars and if it does not sufficiently increase, further legislative measures (potentially including quota or other incentivising mechanism) cannot be excluded. We also understand that the NIHDI and other authorities in the Belgium are exploring ways to increase the use of the temporary reimbursement system. As explained above (see Section III), this mechanism allows partial reimbursement of products that are made available before marketing authorisation, but in practice the mechanism is not widely used. The Minister for Social Affairs is working on several initiatives to reform the healthcare landscape in Belgium. For instance, the hospital landscape and the financing of hospitals is under revision in Belgium. In addition, digital health continues to be a focus area for Belgian policy makers, and various stakeholders are working together to find ways to improve and streamline the use of patient data, including real-world data, in the Belgian healthcare sector. The use of the electronic patient file, for instance, is becoming increasingly important. Finally, pursuant to the adoption of the EU General Data Protection Regulation, Belgium has revisited its privacy legislation, including privacy rules that apply specifically to scientific research. On 5 September 2018, the Belgian Law on the Protection of Individuals regarding the Processing of Personal Data of 30 July 2018 was published in the Official Gazette and therefore entered into force.39 Belgian law introduces specific requirements with regard to scientific research and the processing genetic data, biometric data and data concerning health. 1 Peter Bogaert is a partner and Charlotte Ryckman is an associate at Covington & Burling LLP. 2 Royal Decree of 7 April 1995 on the Information and Advertising regarding Medicinal Products for Human Use, as amended; Law concerning Experiments on Human Beings of 7 May 2004, as amended. 3 Directive 2001/83/EC of the European Parliament and of the Council of 6 November 2001 on the Community code relating to medicinal products for human use, as amended. 4 Royal Decree of 18 March 1999 on Medical Devices; Royal Decree of 15 July 1997 on Active Implantable Medical Devices; Royal Decree of 14 November 2001 on Medical Devices for In Vitro Diagnostics; each as amended. 5 The Active Implantable Medical Devices Directive 90/385/EEC, the Medical Devices Directive 93/42/EEC, and the In Vitro Diagnostic Medical Devices Directive 98/79/EC. 6 Royal Decree of 28 October 2008 Laying Down the Composition and Operation of the Joint Commission and Implementing Article 1, Paragraph 2 of the Medicines Act. 7 Regulation (EC) No. 1924/2006 of the European Parliament and of the Council of 20 December 2006 on nutrition and health claims made on foods, as amended. 8 Ministerial Circular of 28 July 1987 on Article 1 of the Medicines Act. 9 The Law on the Protection and Welfare of Animals of 14 August 1986, as amended. 10 Directive 2010/63/EU of the European Parliament and of the Council of 22 September 2010 on the protection of animals used for scientific purposes. 11 Royal Decree of 29 May 2013 on the Protection of Animals used for Experiments. 12 Royal Decree of 6 March 2002 laying down the Principles of Good Laboratory Practice (GLP) and the Verification of their Application for Trials on Chemical Substances, as amended. There is so far no formal transposition of Directive 2004/10/EC of the European Parliament and of the Council of 11 February 2004 on the harmonisation of laws, regulations and administrative provisions relating to the application of the principles of good laboratory practice and the verification of their applications for tests on chemical substances. 13 The Law concerning Experiments on Human Beings of 7 May 2004, as amended. The act is implemented in a Royal Decree determining the Measures of Implementation of the Law of 7 May 2004 on the Experiments on Human Beings in Relation to Clinical Trials of Medicines for Human Use of 30 June 2004, as amended. 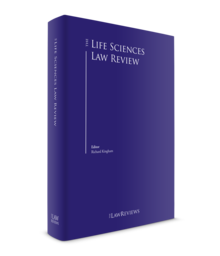 14 The Law on Research on Embryos In Vitro of 11 May 2003, as amended. 15 Directive 2001/20/EC of the European Parliament and of the Council on the approximation of the laws, regulations and administrative provisions of the Member States relating to the implementation of good clinical practice in the conduct of clinical trials on medicinal products for human use, as amended. 16 Commission Directive 2005/28/EC of 8 April 2005 laying down principles and detailed guidelines for good clinical practice as regards investigational medicinal products for human use, as well as the requirements for authorisation of the manufacturing or importation of such products. 17 Regulation (EU) No. 536/2014 of the European Parliament and of the Council of 16 April 2014 on clinical trials on medicinal products for human use, and repealing Directive 2001/20/EC. 18 The amending act is the Law on Miscellaneous Provisions Regarding Health of 30 October 2018. 19 The distinction and relationship between medical need programmes and compassionate use programmes are not always clear, and the FAMHP updated its guidance in May 2017 in an effort to clarify the rules. 20 Regulation (EC) No. 141/2000 of the European Parliament and of the Council of 16 December 1999 on orphan medicinal products, as amended. 21 Regulation (EC) No. 1901/2006 of the European Parliament and of the Council of 12 December 2006 on medicinal products for paediatric use and amending Regulation (EEC) No. 1768/92, Directive 2001/20/EC, Directive 2001/83/EC and Regulation (EC) No. 726/2004, as amended. 22 Regulation (EC) No. 469/2009 of the European Parliament and of the Council of 6 May 2009 concerning the supplementary protection certificate for medicinal products, as amended. 23 Royal Decree of 7 April 1995 on Information and Advertising for Medicines for Human Use, as amended. 24 Royal Decree of 11 January 1993 establishing the Conditions under which the Supply of Medicinal Products for Human Use in the Form of Samples can be Performed, as amended. 25 Royal Decree of 18 March 1999, also cited above. 26 Royal Decree of 15 November 2017 on the Notification of a Contact Point for Materiovigilance and the Registration of Distributors and Exporters of Medical Devices. 27 Proposal for guidelines on the best practice for the distribution of CE-marked medical devices. 28 See in particular: Royal Decree of 6 September 2017 on Narcotic and Psychotropic Substances, repealing Royal Decree of 31 December 1930 Regulating Soporific and Narcotic Substances, and on Risk Reduction and Therapeutic Advice; and Royal Decree of 22 January 1998 Regulating certain Psychotropic Substances, and on Risk Reduction and Therapeutic Advice. 29 Pricing rules are set in a number of instruments, including the Code of Economic Law of 28 February 2013; Royal Decree establishing the Conditions, Time Frames and Practical Modalities regarding Pricing and Price Increases Requests, Pricing Notifications and Communications of the Price of Medicinal Products, Objects, Appliances, Substances assimilated to Medicinal Products and Raw Materials, as referred to under Title V of the Code of Economic Law of 10 April 2014; Ministerial Decree determining the Objects, Appliances, Substances assimilated to Medicinal Products referred to under Title V of the Code of Economic Law, and determining the Maximum Prices and Maximum Margins for Medicines, Objects, Appliances and Substances assimilated to Medicinal Products of 17 June 2014; Ministerial Decree of 20 April 1993 laying down Specific Provisions on Pricing; the Law on Economic Regulation and Pricing of 22 January 1945, each as amended. 30 Reimbursement rules are primarily set out in the Law on the Compulsory Health Insurance of 14 July 1994, as amended; and the new Royal Decree establishing the Procedures, Time Frames and Conditions for the Intervention of Mandatory Health Insurance in the Cost of Pharmaceutical Specialties of 1 February 2018, as amended. 31 Namely, whether the product is an innovative medicine (and, within this category, whether the medicine is reimbursable or not) or whether the product is approved on the basis of an abridged, bibliographical or hybrid application. 32 The above-cited Royal Decree of 1 February 2018 replaces the former Royal Decree of 21 December 2001. Articles 81 and 81 bis of the Decree of 2001 have now become Articles 111 and 112 of the Decree of 2018. In addition, Article 113 allows the Minister to take the initiative for negotiating a managed entry agreement even if the NIHDI has not proposed the start of such negotiations. 33 See in particular: the Code of Economic Law of 28 February 2013; Royal Decree establishing the Conditions, Time Frames and Practical Modalities regarding Pricing and Price Increases Requests, Pricing Notifications and Communications of the Price of Medicinal Products, Objects, Appliances, Substances assimilated to Medicinal Products and Raw Materials, as referred to under Title V of the Code of Economic Law of 10 April 2014; Ministerial Decree determining the Objects, Appliances, Substances assimilated to Medicinal Products referred to under Title V of the Code of Economic Law, and determining the Maximum Prices and Maximum Margins for Medicines, Objects, Appliances and Substances assimilated to Medicinal Products of 17 June 2014; Law on the Compulsory Health Insurance of 14 July 1994; and the Royal Decree establishing the Procedures, Time Frames and Conditions regarding the Intervention of the Compulsory Health Insurance in the Costs of Implants and Invasive Medical Devices of 25 June 2014, each as amended. 34 Article 38 Section 2 of the Coordinated Law of 10 May 2015 on the Practice of Healthcare Professions. 35 Under the Act on Compensation for Damage caused by Healthcare of 31 March 2010, as amended. 36 These are discussed in the EU chapter. 37 At the time of drafting of this contribution, the new rules had not been published yet. 39 The Law repealed the Law on Privacy Protection in relation to the Processing of Personal Data of 8 December 1992 and its implementing Royal Decree of 13 February 2001.